ADDIS ABABA, Jan 28 2014 (IPS) - The issue of peace and security, particularly in South Sudan and the Central African Republic, are expected to dominate the discussions at the African Union’s (AU) semi-annual summit being held in Addis Ababa, Ethiopia, this week. 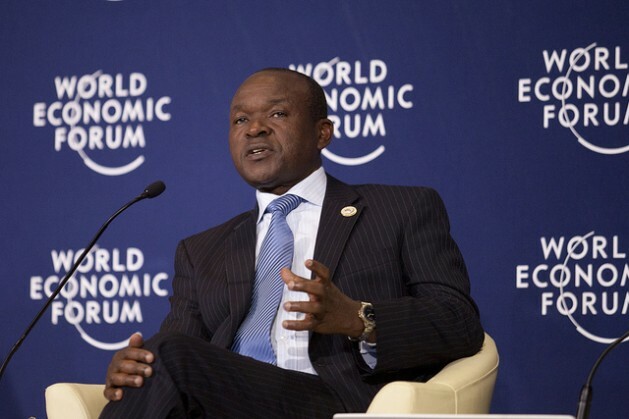 But AU Commission deputy chair Erastus Mwencha told IPS that this summit will be about much more than conflict. Sustainable development, economic integration and environmental concerns will also so be on the table, he said, and it would be a mistake to ignore the progress the AU has made over the past several years. “That’s not to say that we don’t have those challenges,” he added. Q: For outsiders looking in, what is this AU summit about? What are the misconceptions about Africa that you hope to dispel? As part of the AU’s 50th anniversary last year, we came up with a resolution that Africa must now try to tell its story: a story that should, first of all, acknowledge that we have places in Africa where there is conflict, there is war, there is famine – there are great challenges. But Africa has made tremendous progress in these areas too. Secondly, Africa is a good home for investment and that the socio-economic conditions are getting better and better all the time. Q: What do you anticipate will be the top three issues facing leaders during this summit? A: Of course peace and security will continue to preoccupy our continent, because a determination that our leaders have made is that all guns must be silenced by 2020. That is being done within the framework of building an African Peace and Security Architecture (APSA). The main concern is with regards to the current situations that remain in South Sudan and the Central African Republic. A second aspect is integration. This is a real raison d’etre for the AU, and in that regard we will be looking at programmes that bring African countries together, whether they are infrastructure, whether they are trade or other economic programmes. And number three, we’ll specifically be looking at the sector of agriculture, which is the theme of the summit. Q: Can you give concrete examples of what the AU has done to improve agriculture in the past, and what it will focus on during this summit? A: Look at the sector of agriculture, and what the leaders have been doing in the last 10 years. When the leaders announced the Comprehensive Africa Agriculture Development Programme (CAADP), one of the decisions they made was to see increased investment in agriculture. And what we have now, the record shows, is that 70 percent of the countries have increased their investment in agriculture. When you compare the previous decade, before CAADP was launched, in fact investment was on the decline. Now there is a positive trend. Of course agriculture affects close to 70 percent of the population… These are really concrete actions that demonstrate, through actions that have been taken in the past, that they did have an impact on the ground through collective action. Q: You mentioned the African Peace and Security Architecture (APSA), and one major component of that is the African Standby Force (ASF), meant to be capable of responding quickly to conflict. How is that progressing? A: There was a recent stock-taking of the ASF in the context of assessing whether it will be ready come 2015… It clearly indicated that three out of five regional brigades are well under way towards meeting their target. But it also identified a number of elements that we need to address and that might also be informed by trying to look at how we can optimise the ASF to address the challenge of rapid mobilisation – whether they are going to be on hand to make sure that we reduce the impact that conflicts have on the population. Q: Intra-continental trade is very low in Africa as opposed to other regions, and the AU has long acknowledged this problem. Will this summit try to address it in a new way? A: Trade has continued to pose a challenge to the continent; we always emphasise the supply-side constraints. Africa needs technology; Africa needs infrastructure; Africa needs capital to transform the raw materials to equip the human resource factor, so that we have entrepreneurs able to transform these resources and produce goods that can reach the market. And this is a process. You get into an egg and chicken situation: do you create a market first before you produce, or do you produce then go to the market? To address this, we are integrating our markets. There is also a need for investment to take advantage of the growing market on the continent. There is a lot of progress being made by regional economic communities who are also partners in moving us towards establishing a continental free-trade area. Q: Africa’s population is growing very quickly – how is the AU responding to the threat of overstretched resources? A: The huge youth bulge is an opportunity, but also presents challenges, and this is where action is focused. We have to make sure these youth can produce enough by endowing them with education and access. So if you look at the actions that have already been undertaken, whether it’s the Millennium Development Goals or whether it’s post-2015, we are looking at sustainable development, how to take care of the environment, and resource exploitation so that we can be able to sustain development into the future. We have specific programmes like maternal health, which would be addressing the population; we have specific programmes on water sanitation; we have specific programmes on education… these are all looking at the population of the continent as a major resource for Africa, trying to see how we can benefit from the population dividends without getting into the challenge of resource scarcity.